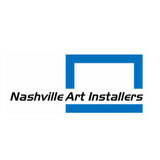 Nashville Art Installers safely attach decorative things to walls including artwork, picture frames, mirrors, and more. We are licensed, bonded, and insured. ICanFixThatForYou is based out of Nashville, TN. 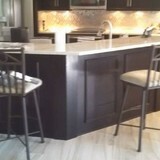 I special in home repair, punch lists, custom carpentry, and renovations. If I sign up to do work for you, that means I will enjoy doing it, but most of all I will take great pride in my work. I will always be honest. If it ends up being a job I'm not comfortable with, I will be the first to tell you. Our company is family owned and operated with over 37 years experience. We take great pride in our workmanship and our client relationships. 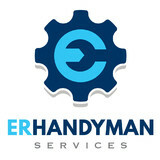 Whether it's simply repainting a room entire interior or assembling furniture we are your one stop Handyman shop We look forward to meeting you and helping you with all your home needs! Let’s face it: we aren’t all skilled in the home repair department. A Old Hickory handyman, however, should be able install or repair just about anything in your home. From hanging pictures to repairing appliances, they do it all. Most local handymen in Old Hickory, TN are capable of completing any basic home repair, though some may specialize in different skills than others; so if you’ve got a specific job in mind, make sure the handyman service you consider hiring is up to the task. What can a local Old Hickory handyman do? While home handyman services in Old Hickory, TN usually cover most of these things, sometimes it’s better to hire a specialized professional so do certain jobs, especially if it’s related to major plumbing or electrical fixes. Here are some related professionals and vendors to complement the work of handyman: Heating & Cooling Sales & Repair, Plumbers, Electricians, Roofing & Gutters. Find an Old Hickory handyman on Houzz. Narrow your search in the Professionals section of the website to local handyman servicesin Old Hickory, TN and read reviews and ratings to find one that fits your needs.